The Office of the Vice President for Research is proud to contribute to the diversity of the University of South Carolina's campuses by helping to recruit and support under-represented minority faculty and students. 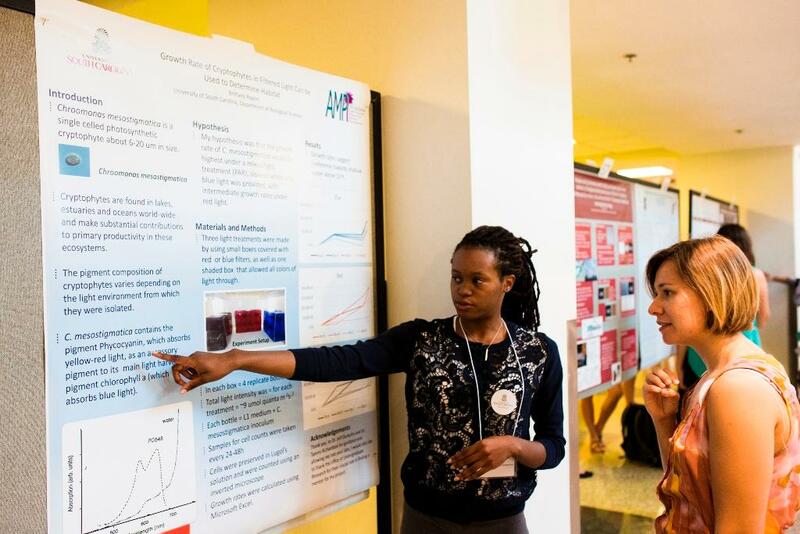 Below, we have collected a variety of resources to help under-represented minority scholars find opportunities in research and scholarship at every stage of their education, from K-12 through college and beyond. Funded by the American Chemical Society, this program targets economically disadvantaged high school students. Project SEED provides paid summer research opportunities for students to work alongside USC faculty in chemistry. Through this program, students experience science research first hand and are encouraged to pursue a college degree. Applications are due April 30 each year. 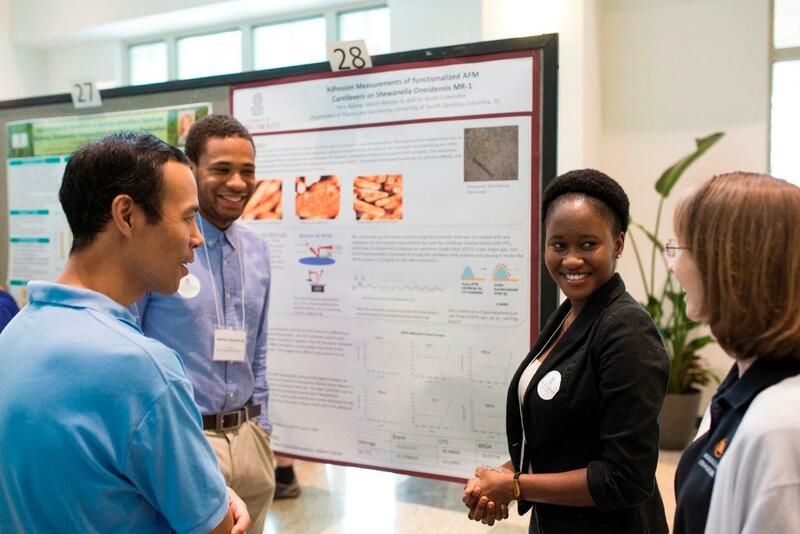 The South Carolina Alliance for Minority Participation at USC supports research opportunities for undergraduate minority students in science, technology, engineering and math disciplines. Student participants in this program have the opportunity to conduct a research project under the direction of a USC faculty mentor. The McNair program is a graduate school preparatory program for qualified undergraduate students who have a desire to continue their academic pursuits to the masters and doctorate level. 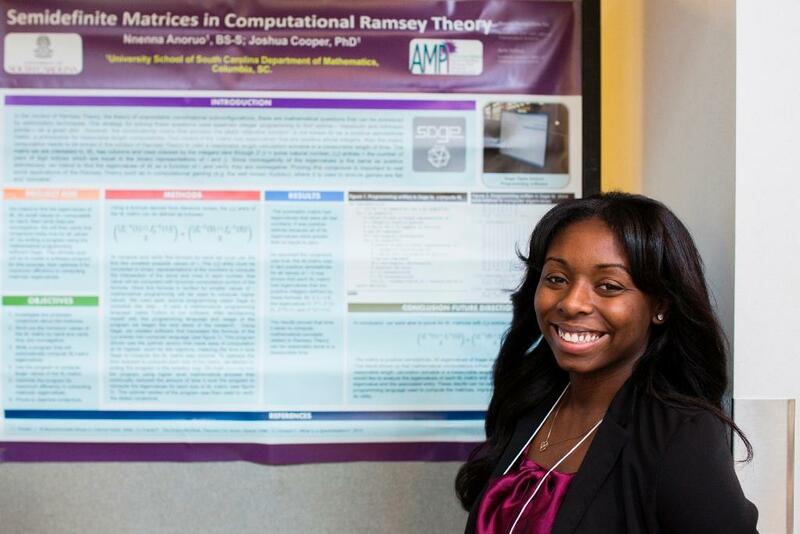 The McNair program recruits minority and first-generation students, works with them in the graduate school application process and pairs them with faculty mentors who work with them on research projects. This program serves students from the University of South Carolina System and local historically black colleges and universities, providing an opportunity for students to experience and build relationships with faculty researchers at a Level I research institution. This program funds research experiences for students who qualify for the Opportunity Scholars Program (OSP) through TRiO. 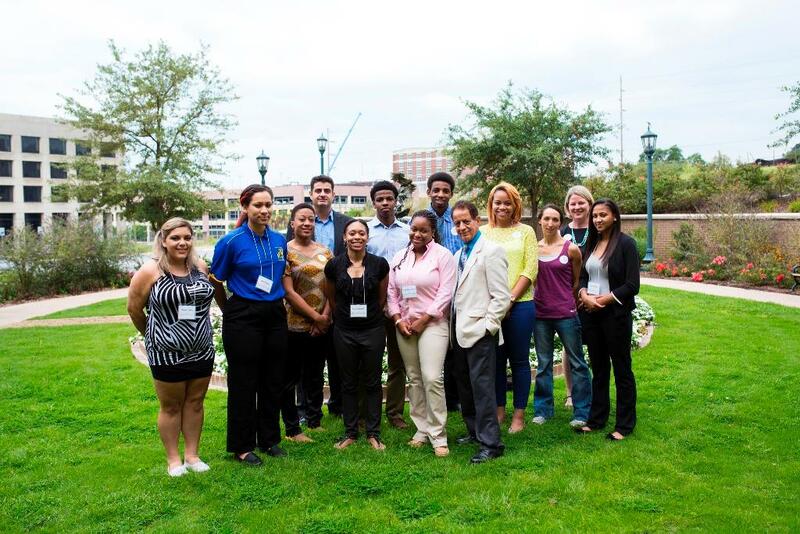 OSP supports low income, first-generation college students and under-represented minorities in all disciplines. This student-run organization prepares and supports minority students planning to attend medical school in a family environment. Members have access to the Office of Pre-Professional Advising and its Resource Room. The PREP program seeks to increase the level of qualified minority applicants to our graduate programs by offering minority students the opportunity to work in biomedical research laboratories while preparing for Graduate School. The ultimate goal of the program is to prepare the PREP scholars for acceptance into a doctoral program in some area of biomedical research. GEM prepares technical leaders for advanced careers in industry, academia and government agencies by identifying and selecting highly qualified students to complete a program of STEM graduate study and industry internships. Through university and employer members, GEM awards fellowships and builds mentor networks to support fellows in achieving academic and professional success. The deadline for application is in the fall prior to the academic year in which the student plans to enter graduate school. This USC program is designed to recruit and support African-American Ph.D. students and to help them to become college and university professors. Students are selected through a competitive process and represent numerous academic disciplines. 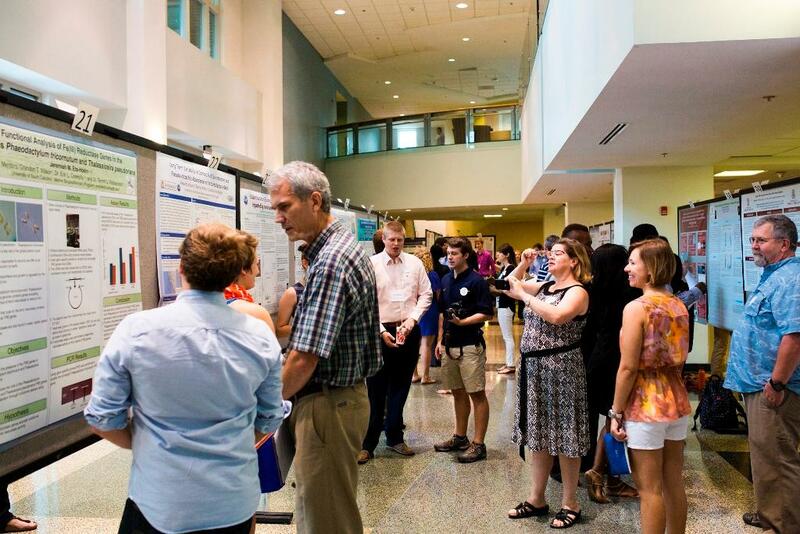 Support includes professional development, networking opportunities, the opportunity to present research findings at the AAPP Graduate Research Symposium, the opportunity to publish in the AAPP Monograph Series and supplemental financial support based on funding availability. The SMART Program was established by the Office of the Vice President for Research to enhance the training of under-represented minority undergraduate students and their recruitment into graduate programs at USC. Faculty who mentor under-represented minority students (from historically black colleges and universities, USC or other institutions) during the summer will receive a supplement of $1,000 per student, for up to two students. This support can be used toward summer salary for the mentor, research costs and/or for the under-represented minority undergraduate students. 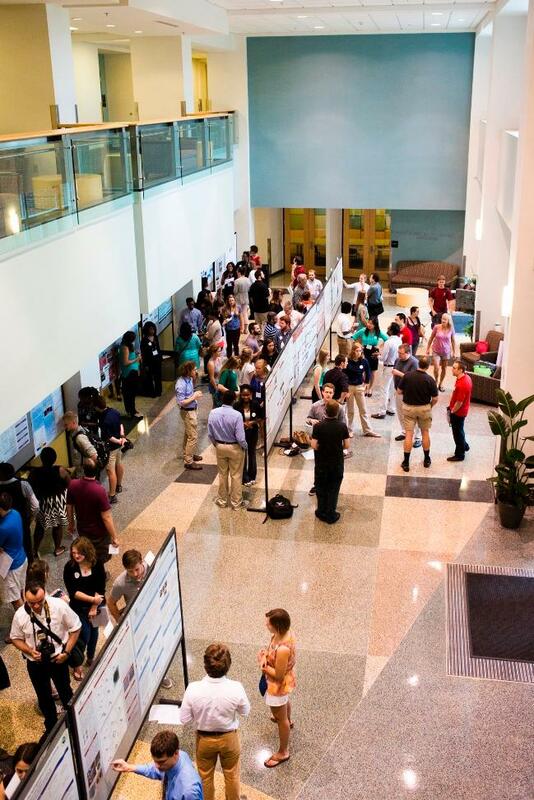 The 2014 Summer Research Symposium, which highlighted undergraduate research projects conducted at USC during the summer break, was an exciting event that gave student researchers an opportunity to showcase their work to faculty, administrators and proud family members. Visit our Contact Us page if you have questions, or if you would like to submit information about a program for under-represented minorities to add to our list.